Cindy van de Kreke-Freens CPCC & PCC | Cindy is a certified professional co-active coach, professional certified coach, an accredited facilitator of team diagnostic assessment and the leadership circle profile and Tiger Trainer. Cindy works with individual clients to co-actively work on self-discovery and transformation. She also works with teams using the team diagnostic assessment model to identify and share their essence, their strengths and challenges. “The key is to work co-actively towards understanding and addressing issues that prevent outstanding performance. The outcome is an increase in positivity and productivity which together make a team sustainable and thriving.” Next to that, she trains children, parents, teachers and schools for them to become skilled at using one common language, the Tiger language, which builds confidence, mutual respect, safety, success and well-being. Cindy’s exceptional coaching and training capacities, coupled with her fascination with people and processes, will certainly get you moving. 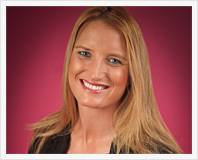 Her focus is on unlocking, triggering and building potential in each of her clients.